Combining the tasks of printers, photocopiers, scanners and fax machines, a multifunction printer can save your business money. 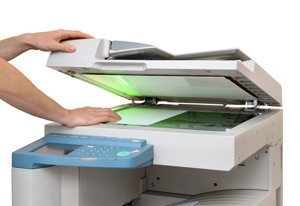 A multifunction printer represents a simple way for a small business to cut costs. As with many buying decisions, the cheapest multifunction model may not be the most cost-effective solution in the long term. Before you buy you should carefully consider the requirements of your business. Inkjet or laser: An inkjet printer will be cheaper to buy initially but may have higher running costs. A laser multifunction printer will require more initial outlay but will usually be cheaper per page. Colour or monochrome: Colour is nice to have but do you really need it? If you are producing sales and marketing documents, the answer may be yes, but if you’re printing for internal consumption then a black-and-white machine should be sufficient. Printing speed: Time is money for everyone. Low-cost and even some mid-priced multifunction printers can be quite slow at printing and copying. If you are doing a high volume print job, a slow machine will be frustrating. Try to buy the fastest multifunction printer you can afford. Auto sheet feeders: Cheaper multifunction printers don’t have this feature but for business purposes an auto sheet feeder is a must. It is a waste of your valuable time to stand and feed single sheets into the printer. Look for a model with an automatic feeder that holds at least 50 sheets. Fax functions: For business purposes you need an integrated fax/modem with a speed of at least 33Kbps. This means your faxes will take less time on the phone line, which saves you money. A multifunction printer with a slower speed would represent false savings. Memory: 8 MB memory is probably sufficient for small offices. But if you need to produce large documents or have many users you should buy a model with at least 16 MB. Image resolution: The standard resolution of 600x600 dpi will be good enough for most printing, unless you require photo quality. If you need high-resolution scanning, check the scanner resolution of the model carefully. Scanner resolutions for multifunction printers are often low. Email capability: This function allows you to run a document through the multifunction printer and instantly send it to someone by email. Unless you to do this often, it is probably something you can do without.